My husband enjoyed carrying our kids on his shoulders. 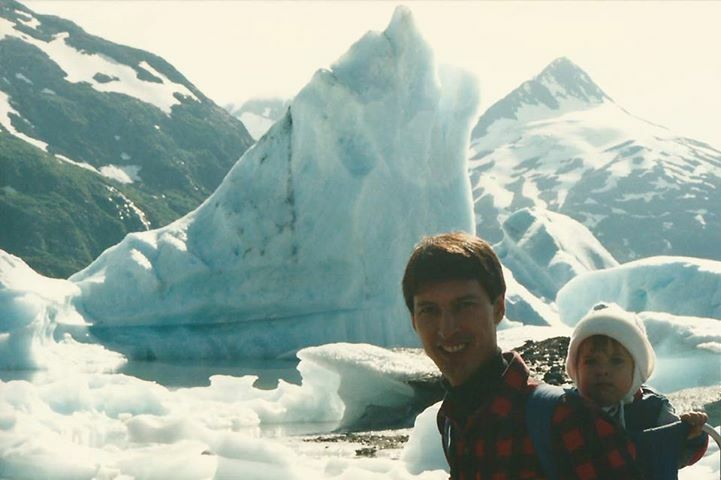 These glaciers in Alaska would certainly have been too slippery for our son, even though he could walk at the time. Being carried meant no fear of falling on the ice. He could relax and enjoy the ride in total security. He was even shielded from some of the cold weather by the warmth of Randy’s body. That touch and support meant warmth and security for our son. Our verse for today was a blessing given by Moses to the tribe of Benjamin. This tribe came from the youngest son and was the smallest of the twelve. Perhaps, because of its smallness and vulnerability, God called them “beloved.” Being small, they would need to find their security in Him. They would need His protection. Those that are chosen and set apart by God are His beloved today. We are dearly loved and kept for Jesus Christ according to Jude 1:1. I am small and insignificant, needing His protection. As a small child loved by his Father, I too need to be carried. Sometimes, there are too many pitfalls in my way. Fear of the unknown ahead can be paralyzing. Or many times, like the child whose legs are too short, I get weary. He is so good to repeatedly pick me up and carry me. In His love He does not reproach or chide. My Father responds to child-like faith on my part. He does not ignore those up-stretched arms. He hoists me up on His strong broad shoulders and carries me through the difficult times. Thank you, Lord, that I am Your beloved. 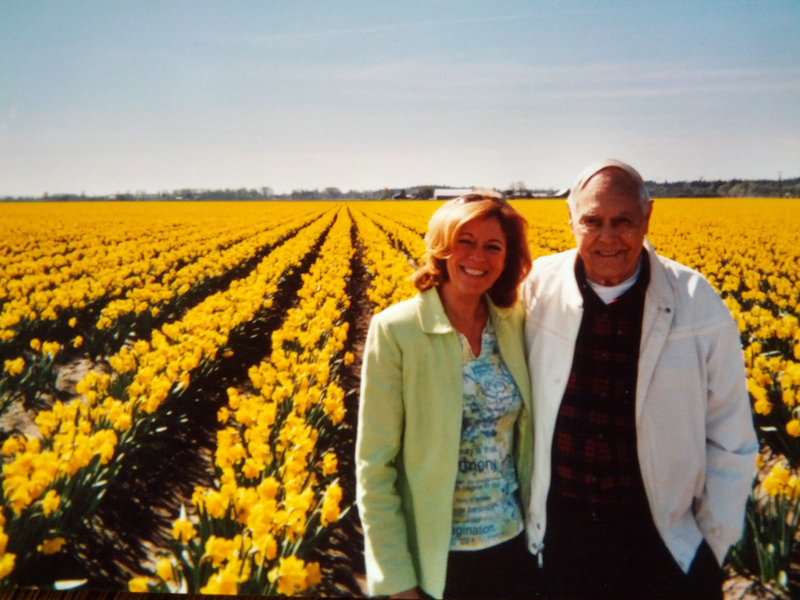 I will never forget visiting this beautiful immense expanse of daffodils with my Father. It was breathtaking! They just went on and on as far as the eye could see. Skagit Valley, Washington is not only known for its daffodils but also for its tulips. Most all bulb flowers do so well here because the soil is rich with volcanic ash. What God did for David’s soul was to bring him into a wide open place, a place of abundance. Just as those daffodils thrive on volcanic ash in the soil, we too can come to a place of beauty and growth after the fiery trial. This place of abundance is the same place in Psalm 23 that is full of green pastures and still waters that restore the soul. Your presence is my abundant place of refreshment. Thank you, Lord, for what You have done for my soul. Categories: Flower Images, Hope, Suffering and Trials | Permalink. The cold weather will eventually come. Then out will come the heavier clothes from storage. Although I am careful about how I store wool garments, there are sometimes some nasty surprises. 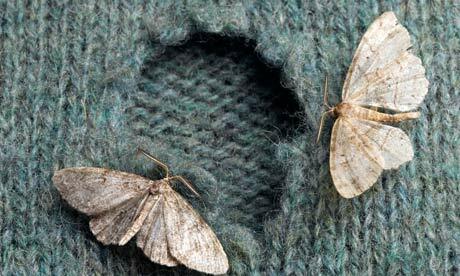 Moths can be so sneaky, somehow moving past the moth balls, cedar or lavender to get to that tasty wool. The French call moths, “papillons de nuit” or “butterflies of the night.” That makes sense as all their dirty deeds can take place in the darkness! Our verse for today contrasts the eternal nature of God’s righteousness to the sure end of those who mock God’s law. There will always be those who oppose the one who follows God’s way. God’s standards are true and absolute. They do not change with time or the current thinking. His righteousness remains far longer than the men who mock it. Being assured of this truth keeps me firm in my convictions of right and wrong. I am His and His law is in my heart. There is no question of compromise. People may think of me as old fashioned or holding on to archaic ideals. But the Lord does not want me to be dismayed or fearful of the reaction of others. He does not want me influenced by the changing values of the culture around me. Keep me firmly convinced, Lord, of what You call right and wrong. Thank you for giving me the courage to stand firm. The dove has long been the symbol of peace and love. I love to see them used in a marriage ceremony. Because doves mate for life, they are an especially poignant symbol of love. The dove is a symbol of peace for the state of Wisconsin and it is the state bird for Michigan. The French consider squab a delicacy. It is quite popular in French traditional cuisine. But because of its associations, it does seem a shame! Our verse for today uses the image of a dove to symbolize the desire for escape and rest. David had been betrayed, not only by his counselor, Ahithopel, but by his own son, Absalom. He had to flee to the wilderness and defend himself. In Psalm 55, David was filled with anguish, fear and trembling. His only thought was to escape and fly away to a place of shelter and rest. It is surprising that the image of a dove was used rather than one of a bigger stronger bird such as the eagle. However, there are some species of doves that can fly up to fifty miles per hour and up to six hundred miles in a day! The wings of a dove are a strong symbol of quick deliverance. Where do I go when my heart is overwhelmed? When I am fearful of the future, where do I find peace and rest? When the hard times seem too much to bear, where can my heart settle down? His presence is my shelter. The protection of His wings is my escape (Psalm 91:4). Lord, I fly to You today for that much-needed rest my heart so needs. Categories: Bird Images, Comfort, Faith and Trust, Peace | Permalink. My Chinese Mother-in-Law has wonderful taste in jewelry. In the early fifties she bought a beautiful pearl broach in Hong Kong. Because of her generosity, my daughters and I each have a beautiful pearl ring that came from this piece. I am no expert on pearls, but the color and luster of that pearl is gorgeous. I could never afford something like that today. It amazes me that something so beautiful can come from an ugly lowly oyster! 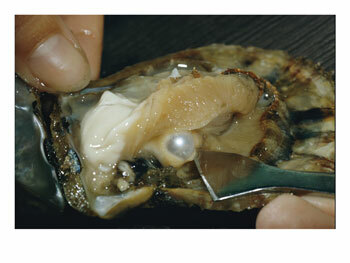 The pearl is formed in an oyster as a protective gesture. If a foreign substance slips in between its “mantle” and its shell, the mantle covers that irritant with layers and layers of its nacre. Over time, the repeated secretion of that nacre is what eventually creates that beautiful pearl. The making of a pearl reminded me of our verse for today. The “pearl” of endurance is the beautiful result of faith-testing. The irritant for the oyster can be likened to the trials and difficulties in life. For the believer, every difficulty that tests faith is used for something positive. Patient endurance brings us to completion. Something ugly and irritating can be turned into something beautiful. It takes a lifetime of trial and difficulties to produce a beautiful enduring strong spirit. It is not a comfortable life but the end result is worth it. Christ has promised to bring to completion what He has started in me (Phil. 1:6). There is joy to know a “pearl” is in the making! Thank you, Lord, for what Your loving tests are accomplishing in me! Our Siamese cat, Chin-Chin, lived for eighteen years. Most every year she had a beautiful litter of kittens that my Mother would sell. It was not unusual to see Chin-Chin carrying around her kittens by the scruff of their necks. As a young girl, it always bothered me to see that, thinking that it must hurt the kitten. But of course, the kitten was fine, as long as he did not struggle. I have since learned about this odd reflex that causes the kitten to hold its body stiffly, its hindquarters raised with its tail and hind legs curled. It is not that the kitten goes limp. Its body is not flaccid, remaining firm. But there is no struggle. Our verse for today calls for stillness. Just as for that kitten, there are times to be still and allow the Lord to have His way. The context of this verse describes insurmountable obstacles such as changes in the earth, troubled waters and mountains trembling. In all of this upheaval well beyond one’s control, the trusting response is stillness and quiet trust in the sovereignty of God. He reassures us of His powerful presence. That stillness allows Him to carry us. Being quiet and still, carried through trial by His presence is such a beautiful image of His love. It is never His intention that I worry or fret or struggle with questions and doubts. He wants to carry me but He cannot until I stop struggling and fussing. Help me, Lord, to be still and in that stillness feel you carrying me through. Categories: Cat Images, Faith and Trust, Peace | Permalink. I am happy I have a husband who plans for the future. Our will and testament have long been written. There is a superstition out there that says that death will quickly follow after drawing up a will. But we are still here! Throughout Scripture is found the encouraging promise of the inheritance that awaits believers in heaven. Our inheritance is imperishable, undefiled, and will not fade away, reserved in heaven for us (I Peter 1:4). 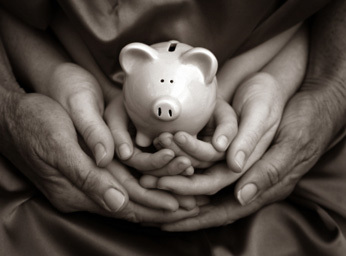 Everything about that inheritance far outweighs the importance of an earthly inheritance left to the family. What is so amazing about our verse for today is that God has an inheritance too! The Psalmist is referring to the nation of Israel as God’s chosen people and His inheritance. God has set them apart to be His own special people. However, in the New Testament the Church is also referred to as a holy nation and a special people (I Peter 2:9). Because He has purchased us and shown us mercy, we too are a people set apart for Him. We are His inheritance! Can He really love me that much, that He would call me His inheritance? He tells me,”Yes!” I am His and He is mine.